Care Coordination creates the perfect opportunity to be proactive and identify preventive opportunities before problems arise. Care management creates the perfect opportunity to identify tests, vaccines and screeners that are appropriate for your patients. Of all the Medicare programs, the AWV is the ideal opportunity to identify wellness and preventive opportunities for your patients. Medicare allows (and pays for) several screenings each year. 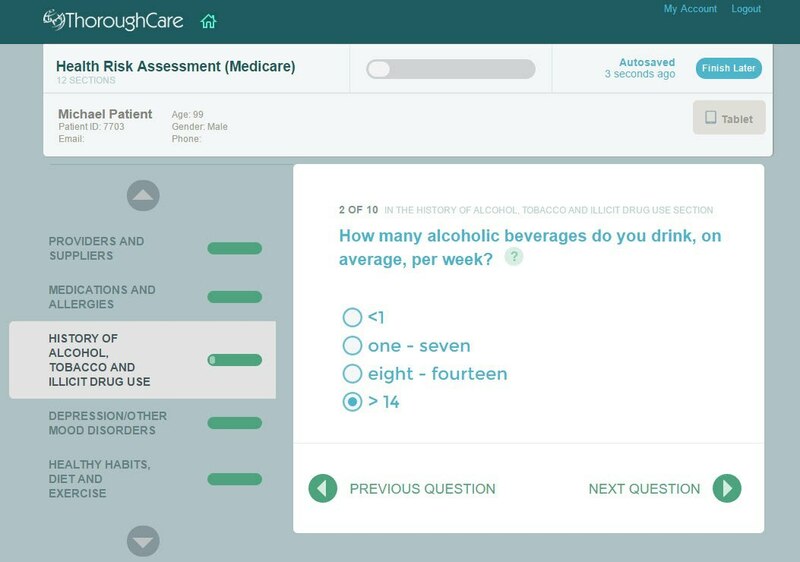 These screening assessments are a clinically-validated way to determine if patients qualify for additional services. 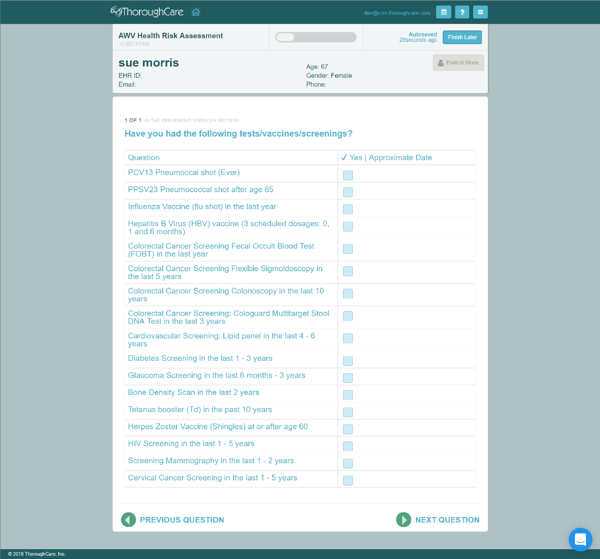 The screening results can also be used to assist the providers in making a diagnoses. 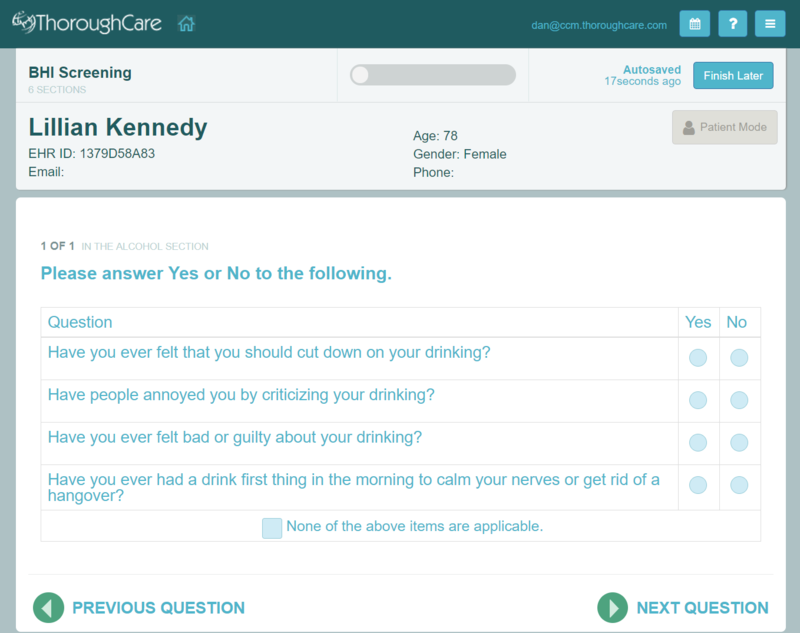 You'll notice various Screening assessments throughout ThoroughCare. As of September 2018, we released 5 new screening assessments for Behavioral Health. Click below to learn more about the BHI program.